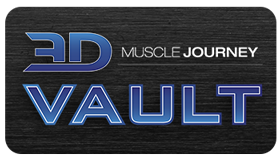 You are here: Home / Training / What Can Deloads and Tapers Do For Me? It’s 2013 and I’m attending a powerlifting meet with one of my athletes. She’s competing and I’m acting as her platform coach. This particular athlete is familiar to those in attendance, both those lifting and spectating. They’ve been following her training on social media for quite some time. As it goes in powerlifting, the first lift is the squat and we are going to “open” or make our first attempt very doable in order to make sure we get on the score board. In other words, her first attempt is a weight she has done in training many times for multiple reps; in this case 350lbs. As expected, she complete the lift and gets a white light from each of the three referees, indicating the lift is legal. Our plan is to be aggressive on the subsequent two lifts and after a brief consultation with the athlete, I put in her second attempt of 375lbs. Immediately there are murmurs among those in attendance. This athlete has not lifted that amount in weeks. When her turn on the platform comes once again, she descends into the hole and stands up with ease. Again, three white lights flash on the score board. Finally, the time comes to choose the 3rd attempt. Once again I briefly consult with the athlete and we decide to stick to our original plan, attempting 390lbs. This weight is just 5lbs short of the American record for her age and weight class. As her turn in the rotation comes up and the bar is loaded, the murmurs are much louder and are now accompanied with heads shaking full of doubt. However, when the time comes for her to lift, she once again executes the lift, only mildly slowing down. Looks of disbelief appear on those in attendance as three white lights adorn the score board for the third time. But the story doesn’t end quite yet. In this particular powerlifting federation, if you get all three of your attempts and are within reach of a record, you are allowed to make fourth attempt to beat that record if you desire. Given how close we are, I put in a fourth attempt on the record, which was all a part of the plan. At this point, non-believers are starting to believe and expressions of doubt morph into expressions of anticipation. As she takes the platform, no longer are there murmurs or shaking heads, but cheering and shouts of encouragement.She descends into the hole of the squat, and now this time with a lot more effort, she drives through the stick-point and grinds her way to completion. As with the other lifts, three white lights are granted, and this time her name makes it into the record books. In a similar fashion, the rest of the meet goes fantastically well, with the majority of attempts completed, setting the tone for future successful competitions. What happened? Why was this athlete able to perform so well on this day? How did she perform so well, especially since in the weeks leading up to the meet she was not able to lift nearly at the level of what was done on competition day? What’s the secret? DELOADS! Otherwise known as training tapers. Imagine starting out each new block of training in this near “super human” state. For novice lifters experiencing this effect for the first time, it can be a startling surprise. For intermediate and advanced lifters, deloads and tapers are essential for peak performance. But, how does one perform a deload or a taper? Stay tuned for the next article where I get into the nuts and bolts!